We are pleased to offer both in person and virtual private yoga instruction! This way, wherever you are, you can achieve optimal health naturally! Tami Gingrow as well as our community collaborators are highly trained intuitive teachers with a passion for the art of yoga and healing the human condition. You receive our full attention in the privacy of your own home or wherever you are traveling as long as you have an internet connection. If you are new to yoga and a little uncomfortable about joining a group session, we will help you gain the strength, flexibility and basic knowledge of postures and practices so you are prepared to go with the flow in a class setting. We will help you create a daily practice of yoga, meditation and self care rituals so you see real results immediately. We create sequencing to help heal injuries and various health issues such as anxiety, stress relief, headaches, weight loss and much more. We will incorporate self massage techniques for added benefits. Yoga is for Every Body...Truly! Experience Body In Balance Transformational Yoga and decide for yourself. 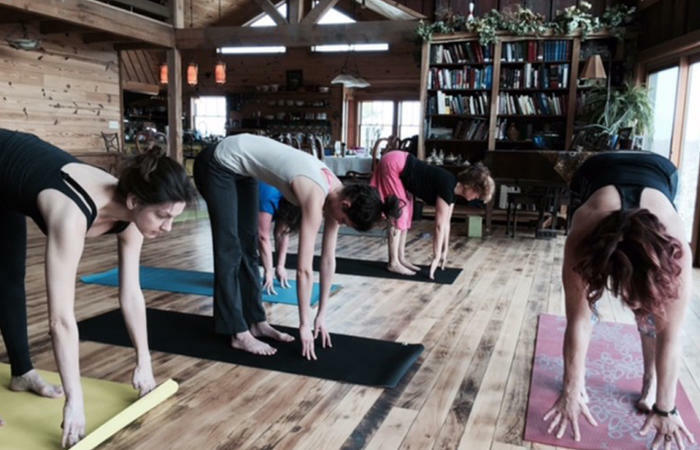 Tami has been practicing yoga since 1996 and entered into teacher training in 2010. Her combined experience in multiple healing modalities infuses creative variety into her yoga teaching style. Price: Starting at $100. Contact us for pricing, depending on the location and number of participants!